Ports | Portfolio Categories | World Shipping, Inc. Port Weller, Ontario is a community in St. Catharines, Regional Municipality of Niagara, Ontario, Canada and is part of the Golden Horseshoe region. It is located 8 kilometres (5.0 mi) north of the center of St. Catharines at the north end of the Welland Canal at Lake Ontario, but part of that city in much the same way as Port Dalhousie. Port Weller is bounded by Lake Ontario (North Boundary), Read Road (East), Linwell Road (South) and Walkers Creek (West Boundary). Port Weller East & West are divided by the Welland Canal. 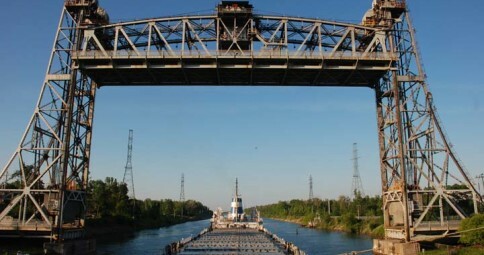 Port Weller West has a significantly higher population than Port Weller East because of industrial and agricultural development on the east side, such as the Welland Canal and Port Weller Drydocks. Muskegon County offers five commercial docking facilities providing a variety of shipping, logistics support, storage, towing, and ship repair services for corporations. Convenient options are available to deliver and receive goods from the Port of Muskegon, and move those goods to market, nationally and internationally. Muskegon Lake is the largest natural deep-water port in West Michigan. The Port of Muskegon handles over 1 million tons of freight, aggregate, coal and salt every year. The United States Army Corps of Engineers provides funding for dredging of the Muskegon Lake Channel to provide year-round access to port facilities. In addition to our commercial port facilities, 12 recreational marinas operate on Muskegon Lake and over 20 charter fishing operations call Muskegon Lake home. White Lake, about 7.5 nm north of the Muskegon Lake Channel, has 8 recreational marinas and 12 charter fishing operators. A scenic cruise ship, the Port City Princess, offers leisure and dinner cruises on Muskegon Lake and Lake Michigan from its berth on Muskegon Lake. Building on its tradition as a Port City, Muskegon County is also served by the Lake Express Ferry, a high-speed ship carrying passengers and vehicles across Lake Michigan from Milwaukee to Muskegon in just 2.5 hours, offering two runs every day during its May-October season.